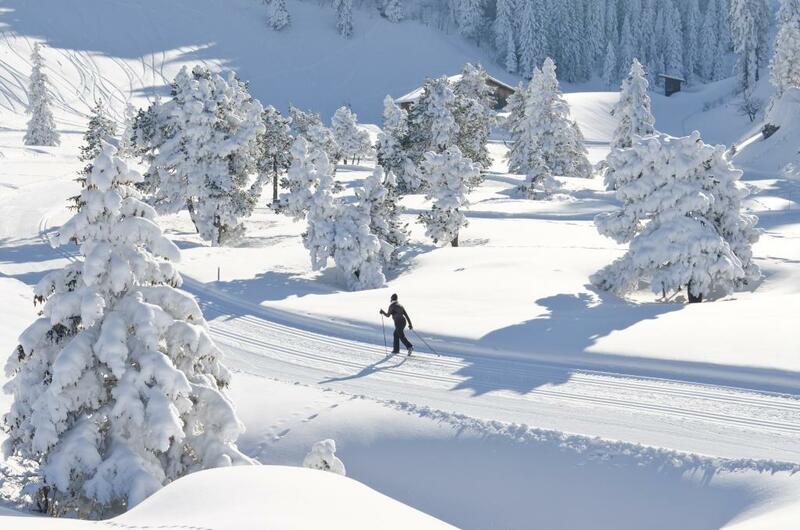 The cross-country skiing trails at Nägelisgärtliwith views of the lake and mountains offer 2.5 km of groomed skiing (classic and skating). There's also a little groomed sledge run for the kids. More information and good coffee is available at the Fyrabigbeizli Nägelisgärtli on 041 820 54 58 or at the Stoos-Muotatal tourist office on 041 818 08 80. Continue on the A14 motorway from Lucerne towards Zug. After 20 km, you come to the Rütihof intersection, where you take the A4 motorway towards Schwyz. At Brunnen, the motorway reduces to one lane each way. Stay on it, heading for Gotthard / Morschach. 500 metres after the 1.1 km-long Mosi Tunnel, turn left off the motorway and head for Morschach. At Rapperswil, head towards Pfäffikon / Gotthard. In Pfäffikon, drive a short distance on the A3 motorway towards the Gotthard. Then take the first exit for Gotthard / Schwyz. The road will take you to Schwyz via Rothenthurm and Sattel. At Schwyz, take the T8 bypass and continue on the A4 motorway towards Gotthard / Brunnen. At Brunnen, the motorway reduces to one lane each way. Stay on this heading for Gotthard / Morschach. 500 metres after the 1.1 km-long Mosi Tunnel, turn left off the motorway and head for Morschach. Take the bypass (tunnel) in Flüelen towards Schwyz. 500 m before Brunnen, turn right and head for Morschach. Morschach is located on a sunny plateau above Lake Lucerne. It can be reached by public transport from Brunnen via the Auto AG Schwyz Line 4 bus route.